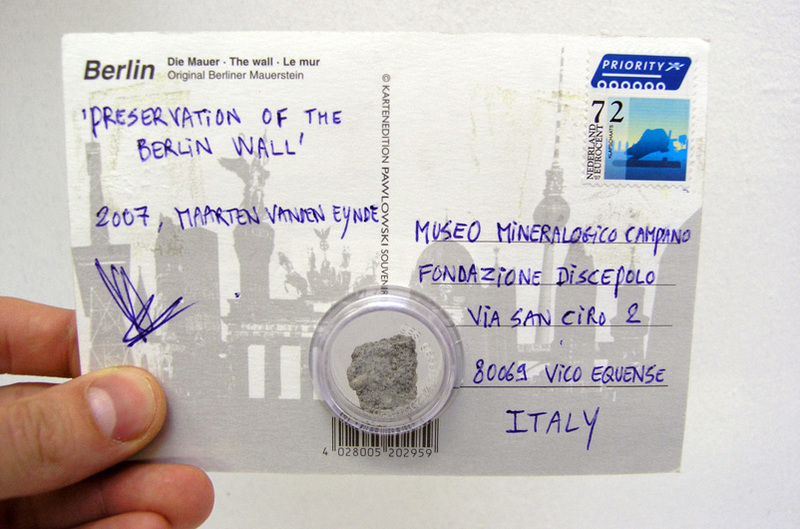 For the exhibition Turn to Stone in the Museo Mineralogico Campano I send a postcard to the museum containing a small plastic box with a piece of the Berlin Wall. 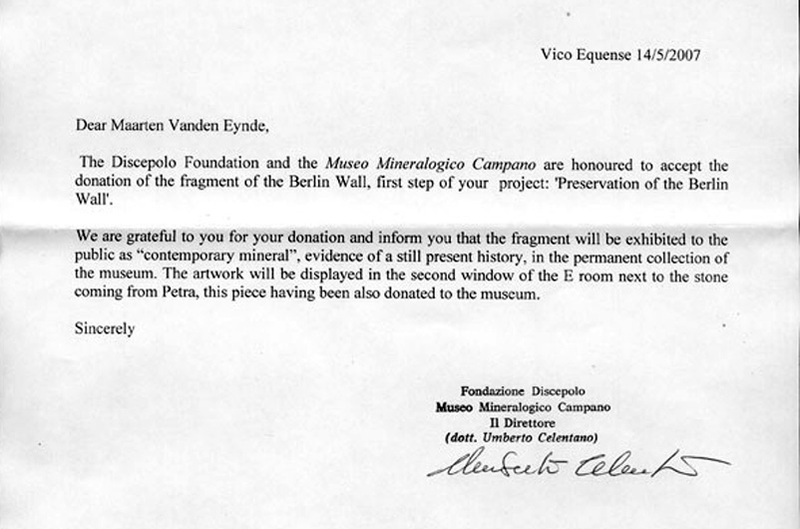 I donated the work to the director with the specific question to preserve the Berlin Wall by adopting the piece in the permanent collection. 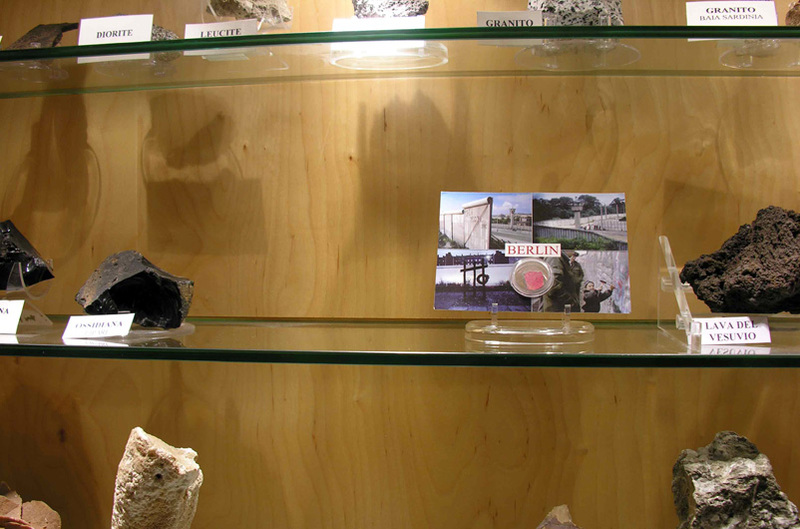 He agreed and from now on the postcard stands in the display surrounded by other mineral stones. The small stone contains the story of the whole wall and preserves an important part of human history. 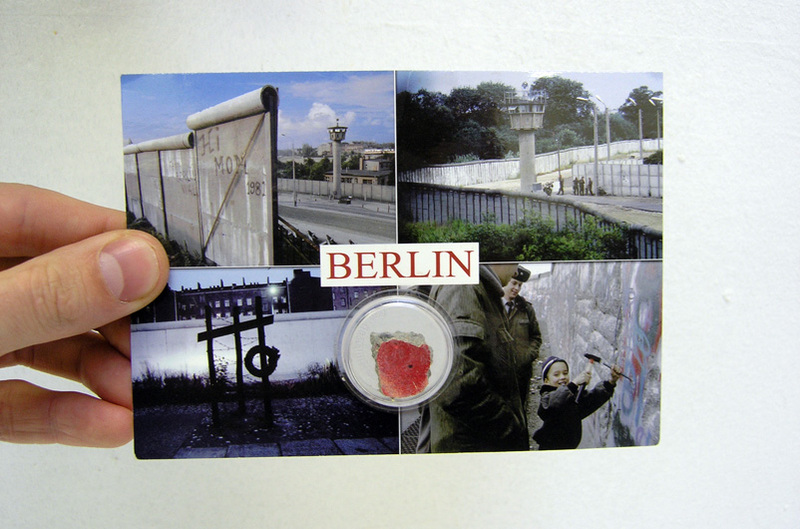 Like a future Rosetta stone it represents World War II, the cold war, communisms and all the personal stories that are attached, projected and connected to the Berlin Wall.